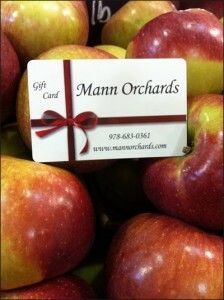 An unyielding dedication to our community and the environment has always been a priority and family objective of Mann Orchards. 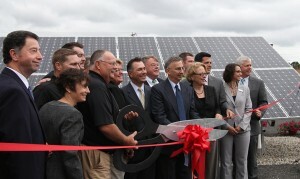 With the launch of our solar farm back in 2012, Mann Orchards proudly made our farm, business and Greater Methuen a little greener. We are a farm stand that sits among a commercial area, and have always searched for ways to return to the way this area had been when the first generation of Mann Orchards settled here and began to plant and harvest. In constructing our new building years ago, we sought out a traditional look with a rustic feel, something that our family has always held in our hearts. We live here, and raise our children here. We work in the dirt, tend to plants and trees. We take homegrown ingredients from that soil and prepare them like our grandmother did, by hand. In all essence we are grown from this land as well. What started as a small idea to give back to the land that has given us so much quickly grew into a proposal, to a construction site, to fully functioning solar panels. Through the hard work and dedication of so many we can now say that here at Mann Orchards we are conserving energy while we continue to produce fresh, local and handmade products for our customer. 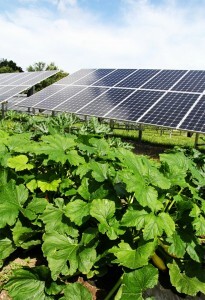 The sun has always helped grow our crops here on the farm – and with the sustainable energy gained from our solar project it now helps us produce our homemade pies! Mann Orchards is thankful to the many people that helped us along the way, including: Congresswoman Niki Tsongas and her office staff; former State Senator Steven Baddour; Methuen Co-operative Bank; Lighthouse Electrical; Solectria Renewables; EC3 Consulting and National Grid.